We’ve recounted many Ashes stories and battles throughout our series of interviews with formers players and coaches and we’re going to add to the list this month, but this time with a twist. This month we’re stepping into enemy territory and interviewing an Australian! 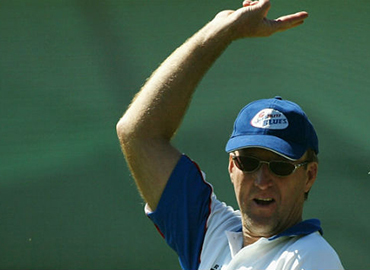 A former fast bowler who during his career took an impressive 97 Ashes wickets. And that man is Geoff Lawson. 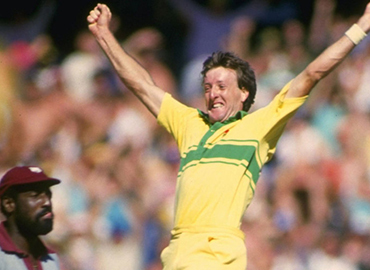 Throughout the 1980s Geoff was one of the first names on Australia’s team sheet and if it wasn’t for injuries he would surely have added to the 180 Test wickets that he ultimately achieved. 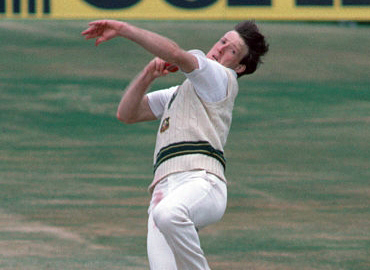 But where did the road to the baggy green begin for this tearaway fast bowler from the country. In 1977, media tycoon Kerry Packer formed a breakaway professional cricket competition, World Series Cricket. It was a tournament that tore apart the sport around the world as a number of the world’s best players opted to play in this competition rather than represent their countries. For Geoff, it was an opportunity. With many of Australia’s team banned, state sides around Australia were searching for new young talent to fulfil fixtures. Geoff got his first sight of England/Australia hostilities in a tour match for New South Wales in 1978. A match that saw Geoff appear in the following day’s papers after a bouncer barrage at Geoffrey Boycott! Geoff’s competitive nature didn’t go unnoticed by the selectors and in 1979 he was called up into Australia’s squad that was touring India. 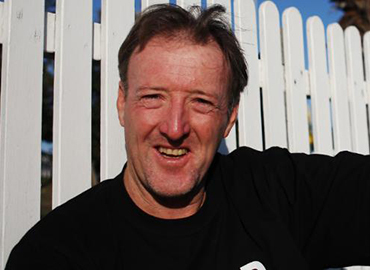 The following year, despite the return of players from World Series Cricket, the selectors had seen enough of Geoff to select him for his Test debut against New Zealand. It wasn’t long before Geoff’s Ashes tales begun. Everyone in England knows about 1981, but what was that series like from an Australia perspective? England won back the Ashes in 1985 under David Gower, despite Geoff’s 24 wickets, and retained the urn 18 months later when Mike Gatting and his team secured a famous 2-1 win down under in a series that Geoff admits England fully deserved. Although an umpiring mistake in the Oval Test of 85 still irks him to this day! “In 1985 we had a depleted squad. 16 players went off to South Africa for a rebel tour, so nearly all our first-choice batsmen and bowlers were lost, but we still played some good cricket. The series was 1-1 at Edgbaston when a really poor umpiring decision went against us. That decision cost us the Test match. 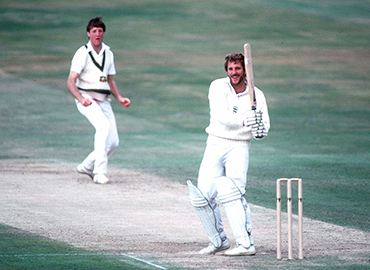 We batted really well and were on our way to saving the game when Wayne Phillips was given out, caught off David Gower’s boot, but everyone could see it had bounced. The umpires had a discussion but gave it out and that was that; we were 2-1 down. Yet we still headed to the Oval knowing that if we won, we’d retain the Ashes.” It wasn’t to be, and Gower’s men held the urn aloft. And then came 1989. England went into that series as firm favourites, but a different Australia turned up on our shores and Allan Border’s men didn’t just regain the Ashes they destroyed us – with Geoff taking another 29 wickets as he formed a formidable bowling attack with Merv Hughes and Terry Alderman. Since that series both sides have experienced the highs and lows of Ashes cricket. Currently, neither side appears to be able to win away but as Geoff says, losing series doesn’t make you a bad side. Speaking of tough Test cricket, I asked Geoff what it was like facing the might of the West Indies during that period. “That was brutal cricket. I remember we played them in 10 successive Test matches; five in Australia, followed by five in the West Indies. I think we got beat 6-1 overall, which I thought was a pretty good effort! It was brutal. There were no bouncer limits in those days and they had unbelievable fast bowlers. 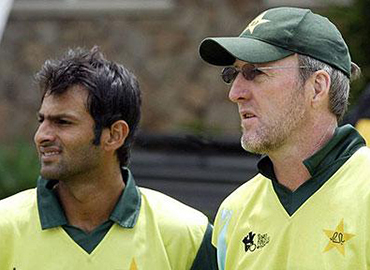 We had some good cricketers, but we were made to look to ordinary against that attack. They bowled fast, caught everything and they had a world-class batting line-up. Yet, I loved competing against them. They were hard to beat and arguably one of the greatest sides of all time, but I had a pretty good record against them." 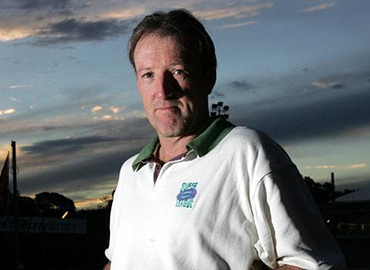 Following his retirement from playing, Geoff had a few coaching roles and went into the media writing for the Sydney Herald newspaper and commentated for ABC, but in 2007 came an opportunity to coach in international cricket and Geoff was named Pakistan head coach. I know that’s something a number of the Addis would concur with after they visited the country for England’s 2005 tour. Geoff enjoyed a terrific international career for Australia and was certainly a thorn in our side for many years throughout the 1980s. It’s been fun getting some perspectives from the old enemy! Geoff – thank you!